Luberon wines @ The Jane Table in Antwerp. June 2018. Photo credit: @gillesdesplanques. 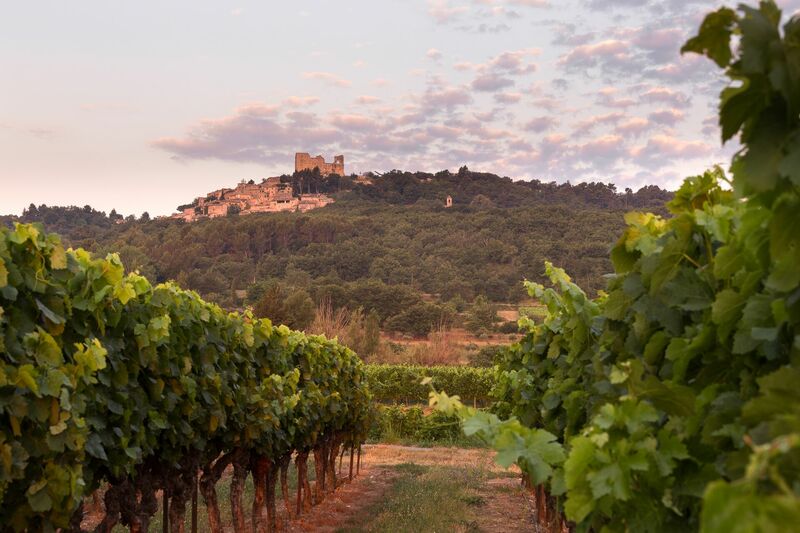 The wines of Luberon are less well known than those of many other regions from the Southern Rhône, such as Châteauneuf-du-Pape, Gigondas or Tavel. Therefore when I recently got the chance to discover the gastronomic potential of Luberon’s wines at The Jane Table, with food and wine pairings by Michelin-star chef Nick Bril and top sommelier Gianluca Di Taranto, I didn’t need to be asked twice: off to Antwerp! 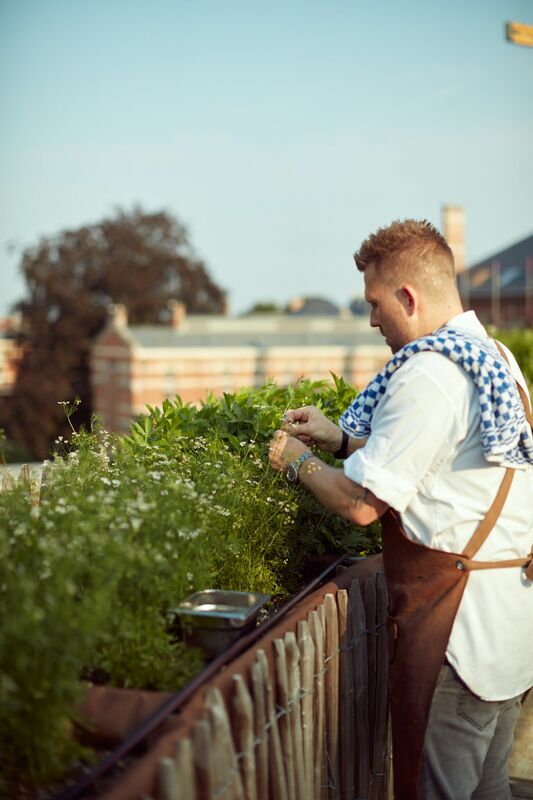 2-Michelin-star chef Nick Bril in the rooftop garden @ The Jane Table, Antwerp. Photo credit: @gillesdesplanques. 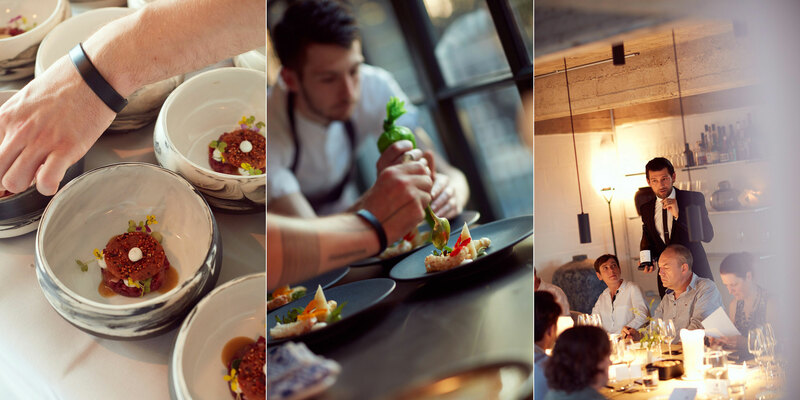 The Jane Table is a private dining concept in the Antwerp hotspot PAKT, an industrial site which in recent years has been wizarded into a vibrant neighbourhood, full of creative enterprises, hip hospitality businesses and a commendable urban farming project. To spy a chef in his roof garden, picking edible flowers and fresh herbs just minutes before serving them on your plate – it warms my heart. 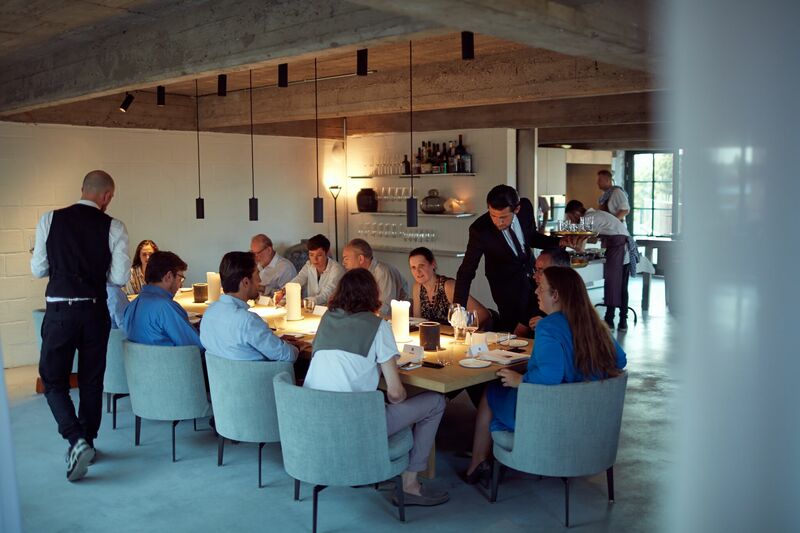 The Jane Table launched in 2018 as a side project from the 2-Michelin-starred restaurant The Jane, which Nick Bril founded together with 3-Michelin-star chef Sergio Herman. The Jane itself is housed in a gorgeous former military hospital chapel, and just a few years ago, it made it to CNN’s list of most stunning restaurants in the world. Nick Bril and his team bring fresh, pure and intense flavours to the table, conjured from local produce, with a clear and exciting Japanese influence. 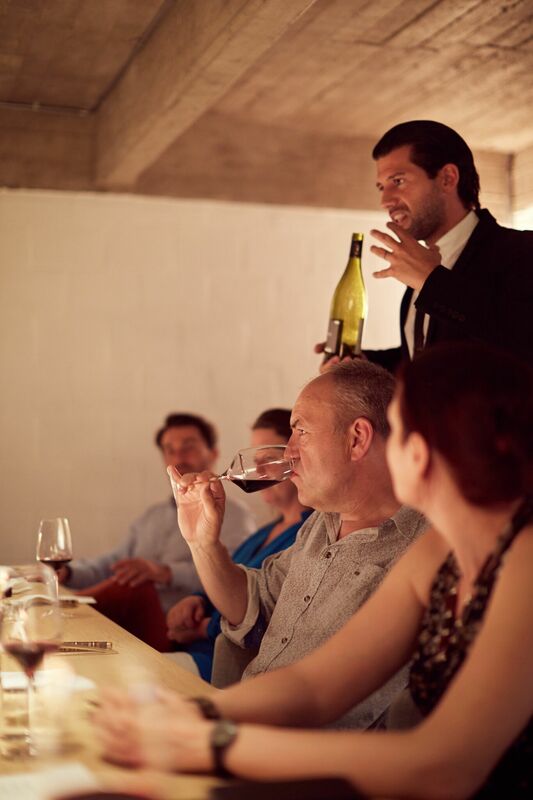 He focuses on texture and mouthfeel and cooks high on acidity, with lots of herbs and spices – all characteristics we also find in the wines of Luberon. Belgian Sommelier of the Year Gianluca Di Taranto presenting the Luberon wines. Photo credit: @gillesdesplanques. The AOC/AOP Luberon is the southeasternmost denomination in the Rhône wine region, but is actually situated in the Provence. It is home to a scenic, undulating landscape with picturesque villages, vineyards, lavender fields and mountain views: the Mont Ventoux, the Monts de Vaucluse, and the Luberon massif itself. Yes, this is the place where in 1989 Peter Mayle wrote his bestseller ‘A Year in Provence’. for red and rosé: mainly Syrah, Grenache, Mourvèdre, Carignan and Cinsault. The region offers a good diversity in wines from big as well as small producers, yet they all have something in common: they have faced a lot of sunlight. As a result, Luberon wines show power, body and a fair amount of alcohol. But at the same time, they taste surprisingly refreshing, with acidity being preserved in the grapes because of the cooler temperatures at night and at higher altitudes. Luberon, France. Photo provided by Luberon Wines / www.vins-luberon.fr. Chawanmushi with amaebi, scallop and truffel-soy vinaigrette, paired with Michel Chapoutier’s 2016 ‘La Ciboise‘, a blend of Grenache Blanc, Vermentino, Ugni Blanc and Roussanne. A delicately sweet note in the dish beautifully accentuated the ripe fruit and floral tones of the wine, leading to a characterful bitter finish. Bavette with oyster tempura, mustard, dill and horse radish, paired with Bastide du Claux’ 2016 ‘L’Odalisque‘ (40% Grenache Blanc, 30% Vermentino and 30% Viognier). A truly masterful pairing, combining spicy and saline ingredients that matched the mineral, almost smoky character of this complex, bone-dry white wine. Skate and squid with bumbu bali and Thai jus. Paired with Domaine de la Citadelle’s ‘Le Châtaignier‘ 2017 (70% Clairette, 20% Grenache Blanc and 10% Ugni Blanc). Simply stunning, how the Thai curry spices and the mouthfeel of the dish play around with the fruity acidity, the herbs & spices and the oxidative apple note of this voluptuous white. Food and wine pairing with Luberon wines @ The Jane Table, Antwerp. Photo credit @gillesdesplanques. Previous story The New Face of Wine: Sustainable, Organic, Biodynamic or Natural? Great to read your prose again, Kristel! Amazing wine and food. Cheers, my friend!